Last weekend was the biennial Schumm reunion. 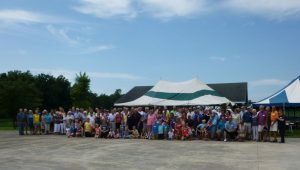 It was a very hot day but a good-sized crowd, estimated at about 200 descendants of John George Schumm, gathered on the grounds of Zion Lutheran Church for the day-long activities. It was a very good and enjoyable reunion. Yes, it was a good Schumm week. 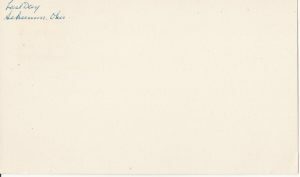 It is addressed to Lyman Thomas, 1811 N. W. 9th Street, Gainesville, Fla, and was postmarked in the afternoon of that closing day. The little village of Schumm, just north of Zion church, was named after John George Schumm and his five children who settled in the area in 1838. Schumm was once a place where passengers could board and depart at the Cloverleaf Railroad Station, later the Nickel Plate. Where a sawmill and elevator once operated. And where a U.S. Post Office was once located. The post office at Schumm was situated in the second house south of the railroad track, on the east side of Schumm Road. The post office was in the front part of the home. The Schumm Post Office closed January 1940 when George Weinman retired after 19 years as the postmaster. The mail was then sent to Willshire, but just for a few months. 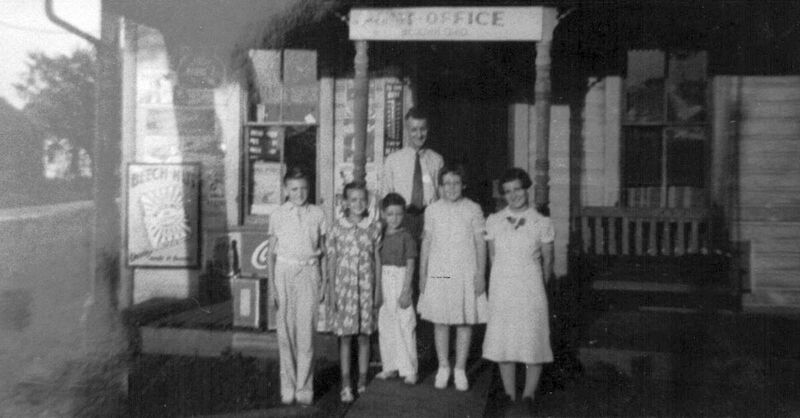 A petition to reopen the post office was signed by the residents of the community and the Schumm Post Office was reopened on 16 April of that same year, with Emanuel H. Schumm appointed as its postmaster. 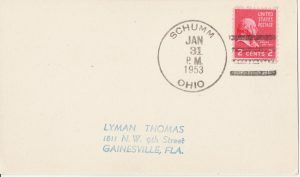 Emanuel Schumm served as postmaster for the next 13 years, but the Schumm Post Office again closed, this time for good, in 1953. The Schumm Post Office was closed forever on 31 January 1953 and the mail was once again sent to Willshire. What a nice addition to my local postmark collection. U.S., Appointments of U.S. Postmasters, 1832-1971, Vol 38, c1873-91, p. 478-9; and U.S., Appointments of US Postmasters, 1832-1971, Vol 79, c1891-1930, p. 575-77; digital images by subscription Ancestry.com, (www.ancestry.com : accessed 17 September 2014), from NARA microfilm publication M841, roll 101. Looks like a fun Schumm reunion! 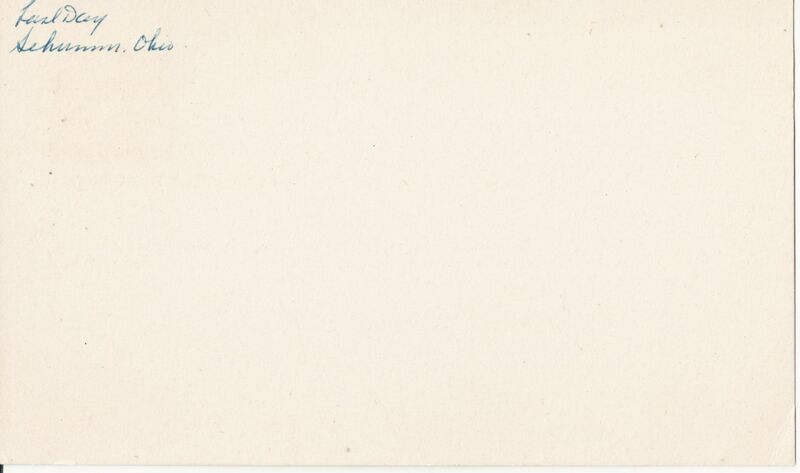 The postmarked postcard is nostalgic and so fitting for your family history.